If Crosby’s name isn’t immediately familiar, his keyboard/violin/guitar playing most likely is. 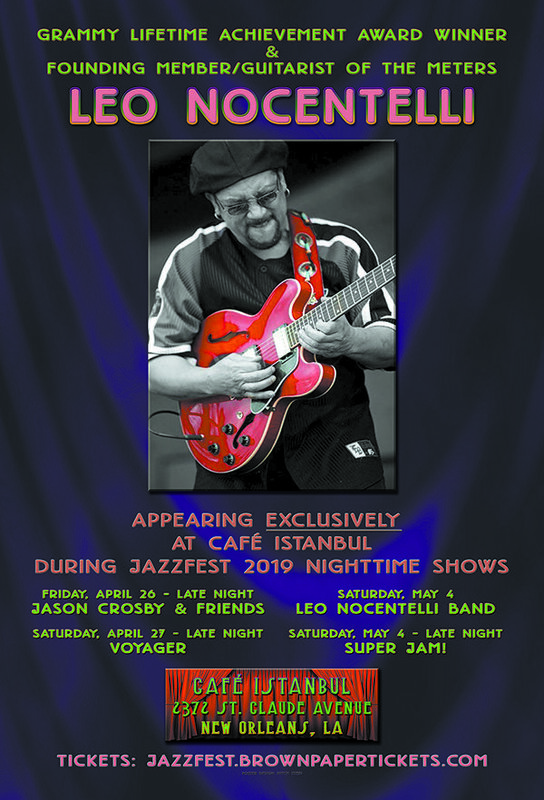 The multi-instrumental virtuoso has toured and recorded with a who’s who of legendary artists including Eric Clapton, Carlos Santana, Pete Seeger, Dave Matthews, The Blind Boys of Alabama, Robert Randolph, and Susan Tedeschi among others. He’s graced the stages of the worlds biggest festivals and appeared on television everywhere from The Tonight Show and Austin City Limits to Jools Holland and the GRAMMY Awards, where he played keyboard in the tribute to Funk with Outkast, the original P-Funk, and Earth, Wind & Fire. Upon landing in California, he took up gigs with Jackie Greene, The Mother Hips, John McLaughlin and Jimmy Herring, and Grateful Dead icons Phil Lesh and Bob Weir, and he soon discovered an audience hungry for the original material he’d begun crafting during his hiatus from the road. See more of what’s going on at Cafe Istanbul here!